Moz is seeking an Engineering Manager for the STAT Web Application team, responsible for a range of tools in STAT Search Analytics, including applications for tracking and analyzing websites’ key search performance data over time. 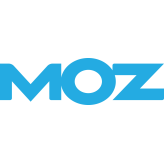 Moz empowers customers to keep pace with the restless world of Search by constantly expanding and improving our suite of data collection, processing, and aggregation services, and by building a suite of analytics and reporting applications on the web. The team is part of the larger product engineering group at Moz which owns the development of Moz’s core SaaS products, and the future direction of our customer facing solutions. Product engineering collaborates across roles and disciplines to deliver tools for digital marketers in all industries and aspects of Search. Servant-Leadership. Our teams thrive through coaching and enabling rather than getting directions. We strive to be supportive, patient, and people-focused. Technical savvy. Being technically knowledgeable is good, but having an informed point-of-view for how to make good decisions about and deliver quality technical work is key for sustaining quality products. A commitment to shipping. It’s important to deliver, and we value getting new products and features to customers regularly. Curiosity and motivation to learn. We’re always looking for opportunities for development and growth. Product and and customer focus. Our team is invested in the experience of the products we build beyond the code. Collaboration. Team-focused communication, knowledge-sharing, and problems solving make us more effective. Diversity & Inclusivity. Moz is committed to building diverse teams where people of all identities and backgrounds are welcome, included, and respected. We work to help close the gender gap in tech, and to actively recruit people from other underrepresented groups. We strongly encourage women, gender diverse people, and minority candidates to apply for this role. Lead a team of full-stack developers and help them grow their performance, technical skill, and professional capabilities. Coach the team in delivering applications that aggregate and display industry-leading keyword and search engine results data, and help the team move their applications into the next phase of technical evaluation. Represent the value of technical investments and retiring debt to the product development process. Contribute to product strategy and promote ways of working that create a reliable flow of new products and features to customers. Be part of building a culture of collaborative product- and customer-focused development across engineering teams. Help build technology and practices that will support growth and sustain operation of Moz products over the next several years. 2+ years of experience leading engineers as manager, lead, or equivalent. 5+ years experience delivering products or services using web technologies. Significant experience over time on a team whose work directly affected customer or end-user experience on a live product. Experience building SaaS products, especially mature products that have sustained growth over time. Significant experience as a software engineer or SDET. Experience using metrics and data to drive software engineering and product-development. A creative, committed, collaborative, and diverse development team who work with lots of interesting technologies. A cross-functional product group balancing new feature development with sustaining and expanding the current high-growth product. Other engineering leaders who are working to continually improve and evolve the culture and practice of software development at the company, bringing new ways of working and diverse perspectives to our organization. We’re a Vancouver-based software company that’s been growing steadily over the last five years, with no signs of slowing down. Our product is a complex, distributed system that gathers, analyzes, and delivers high-volume SEO analytics data for our enterprise clients, fresh every day. In October of 2018 STAT was acquired by Moz, a long-time friend of ours in Seattle. We’re thrilled to come together as one company! We are both passionate about our shared values and commitment to developing the best organic search solutions for our customers. We’re building a great company and culture together -- come join us! Generous time off plus $3,000 per year towards your vacation!! Want to get notified about new jobs at Moz?